This morning we took our time getting ready to hook up while talking to our next door neighbors at the park. They are a younger family with two young boys. We gave them our flip license plate game that we use sporadically when we travel. We figured the boys would enjoy it. They were thrilled. 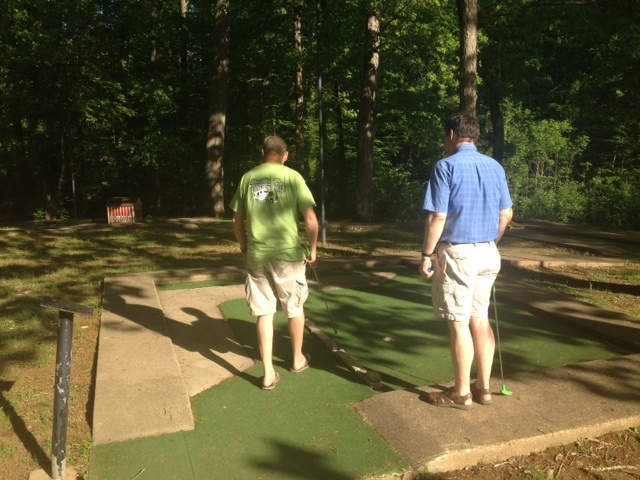 We were underway around 9:00 AM and headed back out to I-40, then picked up I-75 in Knoxville. It was a fairly short trip today – 141 miles – to London, Kentucky. 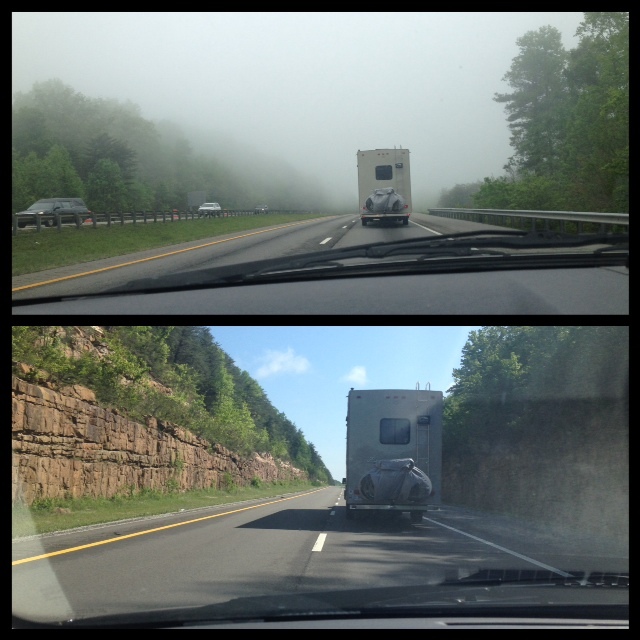 The weather was nice, though it was foggy as we crossed the mountains in north Tennessee. It did clear up as we got on into Kentucky. We were here and set up by a little after 12:00 noon. We got here early enough that the site we had reserved still had someone on it, so we were given the site next door. Turns out this is the same site we stayed in last spring when we were here. Once we got set up, Malcolm sent his brother a text. His brother responded as we were driving out to find something to eat for lunch. They were at the local Italian restaurant and invited us to come on over. They had just finished eating when we got there, but stayed around while we ordered our food and ate our lunch. 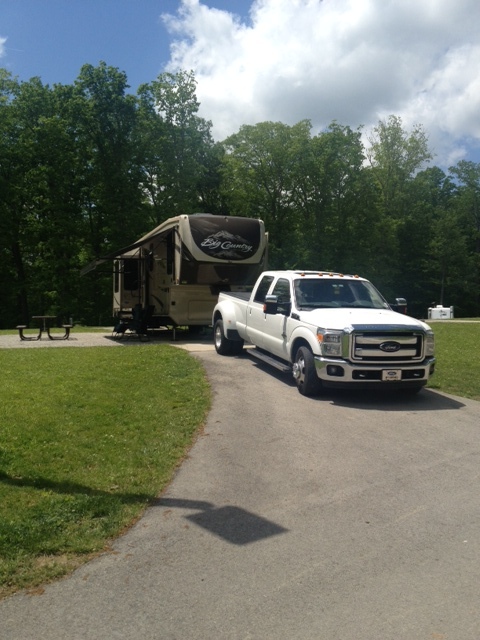 They headed home to take care of a few things before coming over to the campground. They just live a mile away, so it is convenient. Meanwhile, we relaxed around the trailer, or outside the trailer as the case may be. Once Malcolm’s brother, David, and his wife Marsha and daughter Jazzlyn came over, we sat around inside the trailer and chatted for a while. 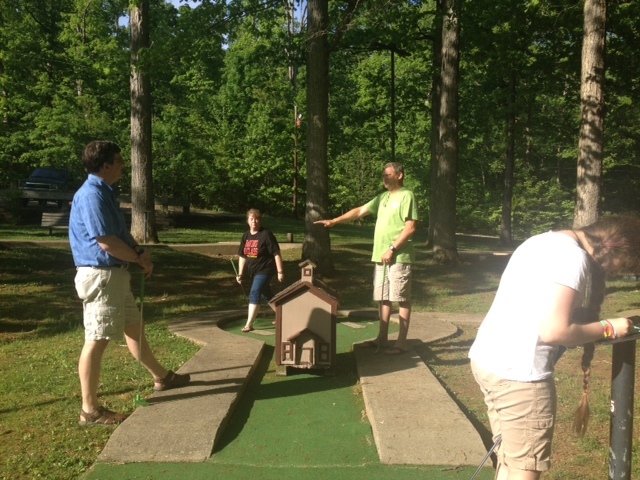 Eventually, we walked to the front of the campground and paid for a round of miniature golf. It was a pleasant afternoon. After our round of golf, we piled into one car and headed to Wendy’s for a quick and cheap dinner. Malcolm’s brother dropped us off and they headed on home to get ready for bed. 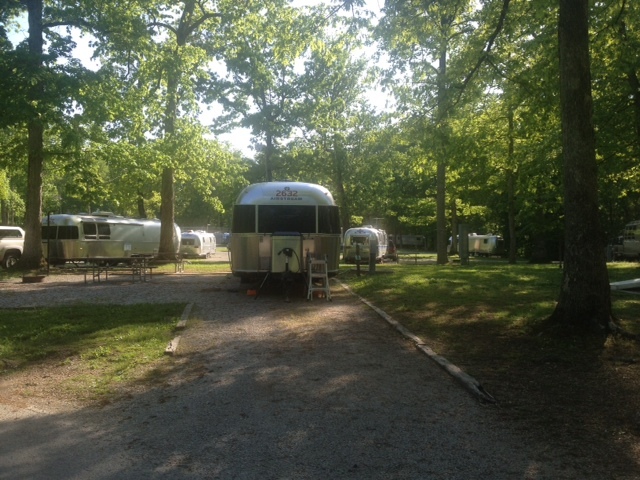 On our way into the park today, we noticed quite a few Airstream trailers here. This evening, many of the folks were sitting around a campfire near one of the trailers. Malcolm walked over to talk to them for a bit and found out that they are caravanning through the area. Malcolm’s grandparents traveled in an Airstream from 1970 to 1992 (full-time for the first 12 years). Malcolm also looked at his spreadsheet that he made of his grandparents’ travels since he remembered camping with them at this same park years ago. 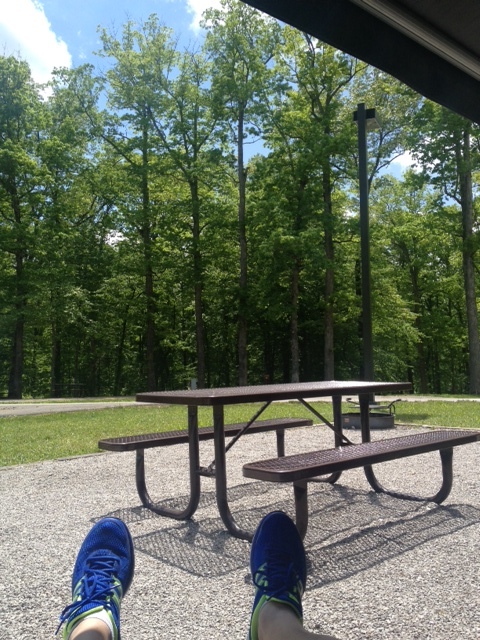 They brought him to Levi Jackson State Park back in July, 1971 and spent 4 nights here. From here, they took Malcolm to church camp and dropped him off, spending the night at the camp before leaving the next morning (though their rig got stuck and the counselors and campers had to help push them out).